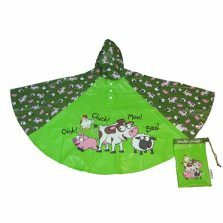 Childrens PVC Farmyard Umbrella - A huge range of Umbrellas here! 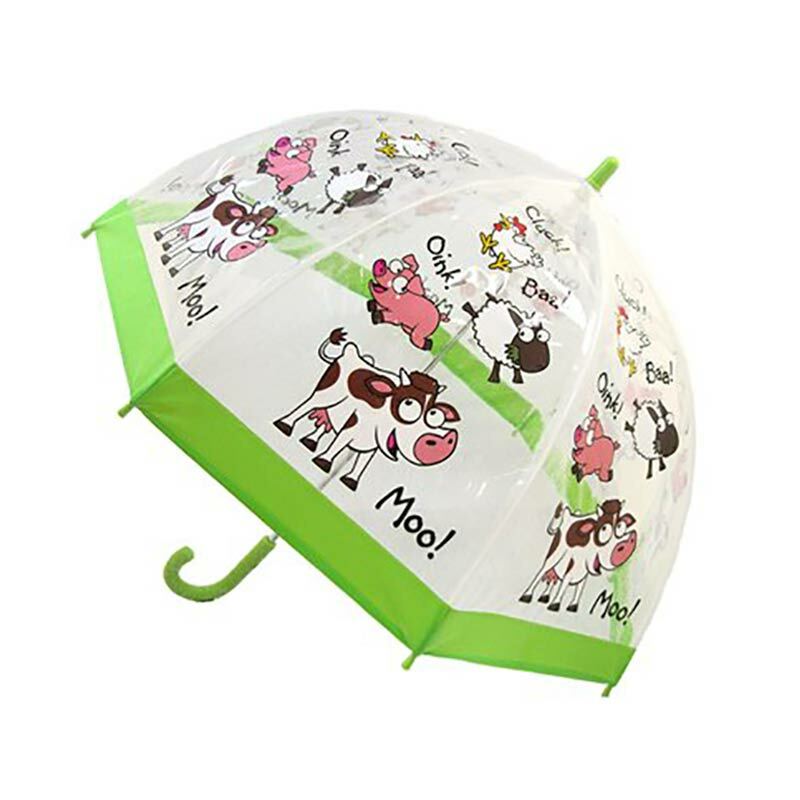 Looking for a funky children’s PVC farmyard umbrella for your child? Up here in UH we have a whole range of children’s PVC clear dome umbrellas. Scroll below for more details! 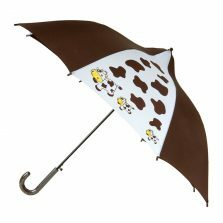 Here we have our delightful children’s PVC FarmYard umbrella. All the fun of the farm yard… without the smell. Or vets bills… Or the economic uncertainty caused by the purchasing policies of the big supermarket chains. 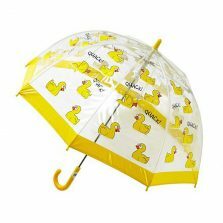 Our wonderful range of fun Children’s clear PVC dome umbrellas have also been tested thoroughly. These dome umbrellas are fully compliant with strict European safety regulations. As well as this, the Children’s FarmYard umbrella also features a bunch of cheerful cartoon animals… chickens, sheep, pigs and cows all making the appropriate, traditional, onomatopoeic sounds as they go about their day to day business. Enough to raise a smile on the wettest of days. A bright green hem, matching top, spoke tips and handle complete the design of this kid’s PVC dome. Construction also includes a safety runner for easy opening and closing, making operation safe for little people’s fingers. 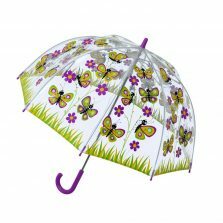 For additional safety the top and spoke tips of this kids PVC brolly are rounded to reduce the potential for injury to anyone in the vicinity. Not suitable for children under 3 and probably not ideal for those over (say…) 18 years of age. 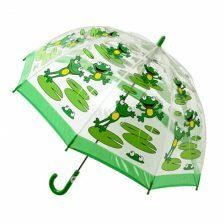 Canopy width is 68 cm / 27″ and umbrella length is 66 cm / 26″.